The Million-Dollar, One-Person Business: Make Great Money. Work the Way You Like. Have the Life You Want. The indispensable guide to earning a six-figure take-home income on your own terms, from Forbes.com contributing writer Elaine Pofeldt. The rise of one-million-dollar, one-person businesses in the past five years is the biggest trend in employment today, offering the widest range of people the most ways to earn a living while having the lifestyles they want. 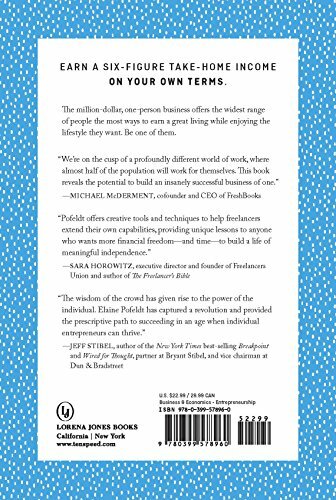 In The Million-Dollar, One-Person Business, Elaine Pofeldt outlines the pathways to joining this entrepreneurial movement, synthesizing advice from hundreds of business owners who’ve done it. 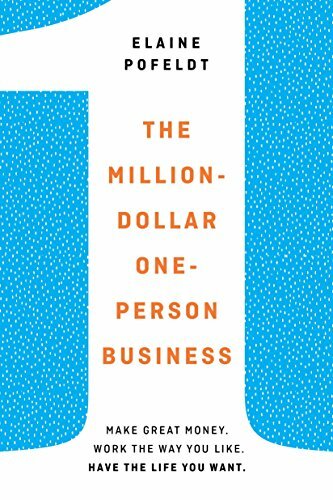 She explains how to identify, launch, grow, and reinvent the business, showing how a single individual can generate $1 million in revenue–something only larger small companies have done in the past. Both inspirational and practical, this book will appeal to all who seek a great worklife and a great lifestyle.